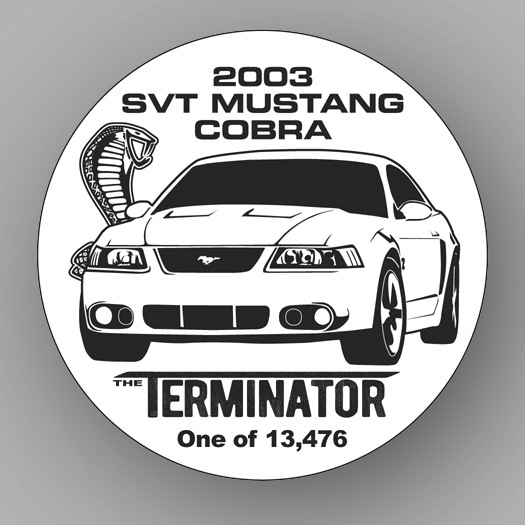 Custom window cling featuring SVT's first supercharged Mustang Cobra - the 2003-2004 "Terminator!" Printed on high-quality static cling vinyl to be applied to the inside of your windshield. Choose from 2003 or 2004 model year.